One of the hardest things to do in the IT industry as service providers and consultants is to keep up with all of the products that are available to quote. This is in part due to products no longer being in stock or even worse - outdated. For the products that are available, the features, functionality, and technology are constantly changing. 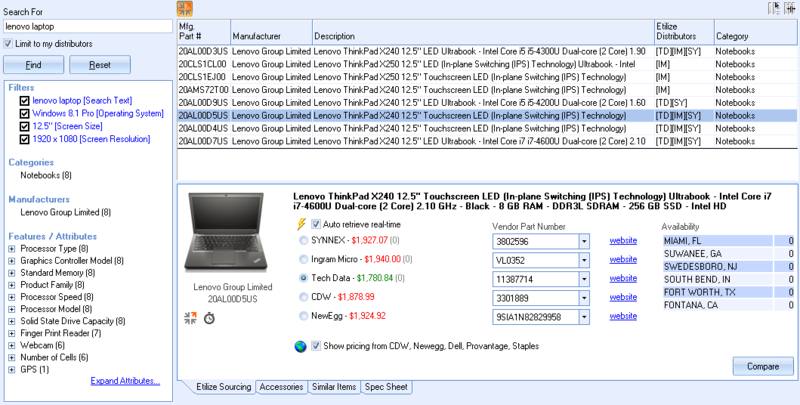 QuoteWerks utilizes Etilize to provide a parts list to its customers. With the Product Content Subscription, IT professionals and Managed Service Providers do not need to maintain a product database for each of the IT distributors that they work with. The Subscription also provides pictures, customer friendly descriptions, specifications, and more about the products that are being quotes. Earlier this year, the QuoteWerks Development Team surveyed their customers to find out what features they needed to be more efficient in their quoting process. The QuoteWerks Team was not surprised to hear that those surveyed needed the ability to compare products side-by-side based on functionality and then quickly filter products by cost and availability. Over the past two decades, QuoteWerks has an established record of success achieved by implementing customer feedback. With the release of QuoteWerks version 5.1, IT Professionals now have the ability to perform a basic search like "laptop" and then filter the results by attributes like RAM, screen size, and operating system. 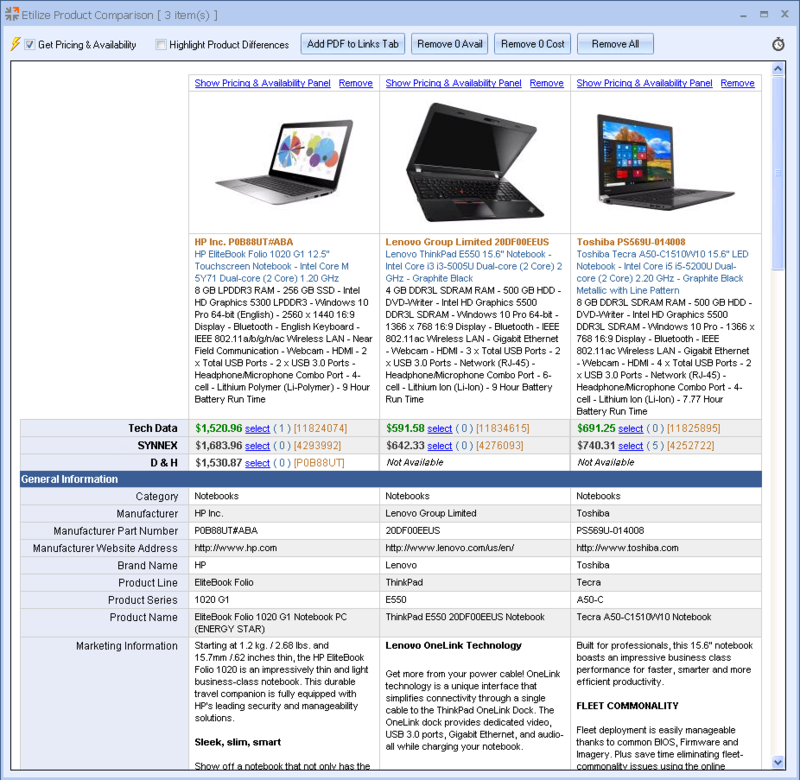 They can then add those results to a side-by-side comparison and see all of the prices for all of the selected products. With a click of a button, products that are not carried by their distributors can quickly be removed from the comparison. If it is a time sensitive quote where the sales person knows the products will need to be delivered to the client quickly, there is another button that will then remove all of products that are not currently in stock by their distributors. To assist the sales rep further, the differences between the products can be highlighted enabling them to make an informed decision as to what to quote the client. If the sales rep decides to allow the customer to choose between several products (a good, better, best scenario), the product comparison can be included with the quote or proposal. Learn more about the enhancements made in the QuoteWerks Product Content Subscription introduced in QuoteWerks version 5.1.